When I was 16, I got very sick because I drank from someone else’s cup and it developed into a liver infection. It sucked, basically, but then again, it was my own fault for not being careful enough. Ever since then, I take extremely care with the glasses I drink from, and if I do it from someone else’s, I make sure that it is someone I know well. My point is: drink only from cups and glasses that you have checked beforehand, otherwise you will end up getting poisoned and dying in the most painful way. So many people who died in this episode would have survived if they had checked the work history of their cup-bearers. Carlos is still using his three years out of Spain, and he seems to have become more mature –he doesn’t even have crazy hair anymore! These days it is more of a Bradley Cooper-styled cut. Carlos’s story here begins with him reading one of many letters that Hernán Cortés sent him, but the emperor has other things to attend to. 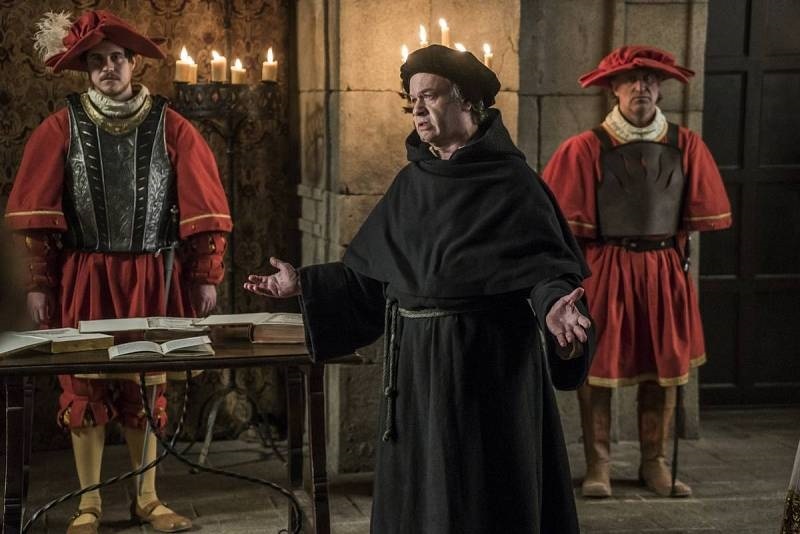 Namely, the problem with Luther. The Pope still wants Carlos to arrest him, while the German princes will be very mad at him if he does so. So the only choice is to summon Luther in what was known as the Diet of Worms. If he expected Luther to take back everything he had said and agree to see a Council dealing with all the problems, he was wrong. One can see why Luther did these things, but boy doesn’t he look smug? It really makes it hard for me to sympathise at all. Of course, it shouldn’t come as a surprise that Chièvres is unhappy about this situation, so he sends (unsuccessfully) someone to deal with Luther. But here is the problem: Luther has a powerful friend in Frederick III, Elector of Saxony (Saxony from now on), so Chièvres is cruelly poisoned in the most absurd way (don’t they have food tasters?) and has quite a gruesome death. It was a struggle to watch it. This could mean that now Carlos will finally speak for himself, so it might not be such a sad event after all. And now he can rely more on his brother Fernando, who proved to be a great advisor and counsellor, especially when they ended up going to battle against France at the end of the episode and Fernando suggested retreating until they had more men –he is his grandfather’s grandson. François is all about his wounded ego these days, and is so obsessed with destroying Carlos that he is going to go to war for it. The main concern here (at least for his mother and for the Duke of Bourbon) is that the king seems to be putting his mistress’s brothers in command of the troops. Everyone keeps treating François like he is a horny teenager –which is partially true. The Duke will soon be saying goodbye to France, it seems, as the king never listens to him, not even when they go to battle and he suggests attacking at night, which would be a clear win. Let’s see what happens next week, but for now, I am just concerned because François’s mother seems very possessive and it’s creepy. So much drama here. 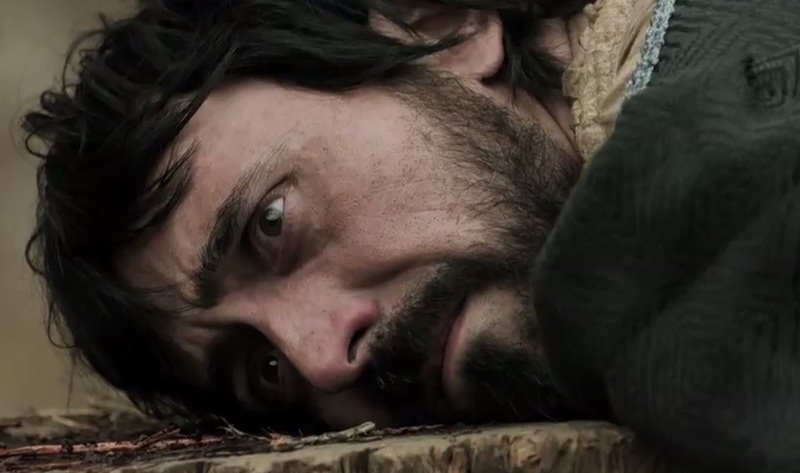 Things have started to go downhill for Cortés, and so far the only thing he can do is to keep Cuauhtémoc prisoner. The real problem is that the gold he promised to his men is nowhere to be seen, or rather it is, but he doesn’t want to take it yet. So of course, this means mutiny! But we all know that Cortés is tough and a couple of men attacking him is not going to be a successful mutiny anyway. But for now, Cortés is sick of bloodshed and decides to retreat for a while (but keeping Cuauhtémoc with him, because he needs to get information from him). This was our first proper look into the world of the Portuguese royal family, and it was a grim one. 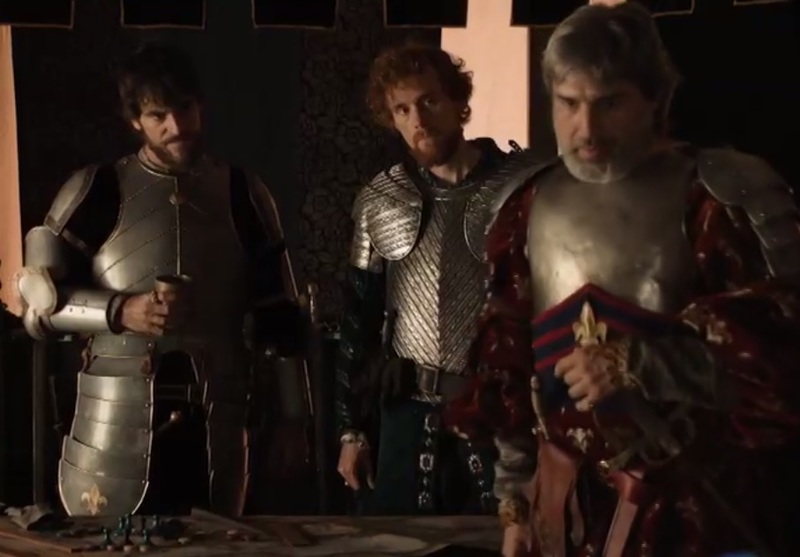 King Manuel (who married two daughters of the Catholic Monarchs, Isabel and María) passes away, but not before pulling a Taming of the Shrew on his son and heir João: he cannot marry until he has made sure that his sister Isabel marries Carlos. But João turns out to be a bit of an idiot, because as soon as his father dies, he decides he is going to marry his widow, Leonor –Carlos’s sister, who is already showing signs of the physical feebleness that would accompany her all her life. 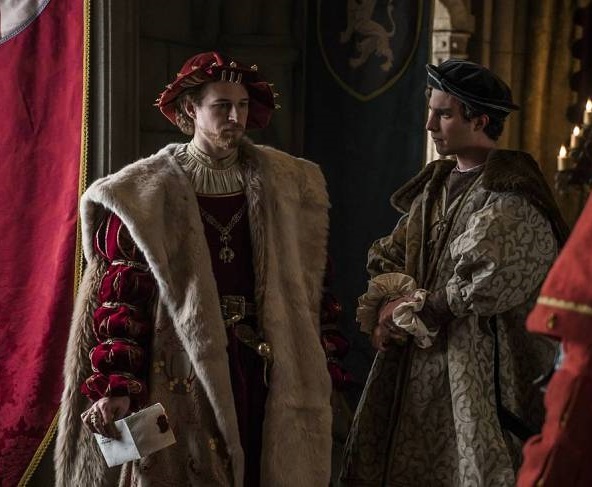 Needless to say, this angers Isabel beyond reason, but what really upsets her is the fact that Carlos is engaged to their mutual cousin, Mary Tudor. Let’s not panic: we know that Carlos is not going to allow Leonor to remain in Portugal, and he has an ace up his sleeve, even if Leonor is now pregnant –should we assume the baby is Manuel’s? Carlos might be away dealing with his German businesses, but the revolts in Spain don’t stop, even if they grow weaker every day. The People’s Front of Judea keeps meeting dead ends, but that is because they don’t know one of their own, Girón, has pretty much sold them to the crown. It was a bit sad seeing them lose everything, but, you know, they sort of had it coming. They probably should have been smart, like the Duke of Alba and his grandson, and stayed loyal to the crown. 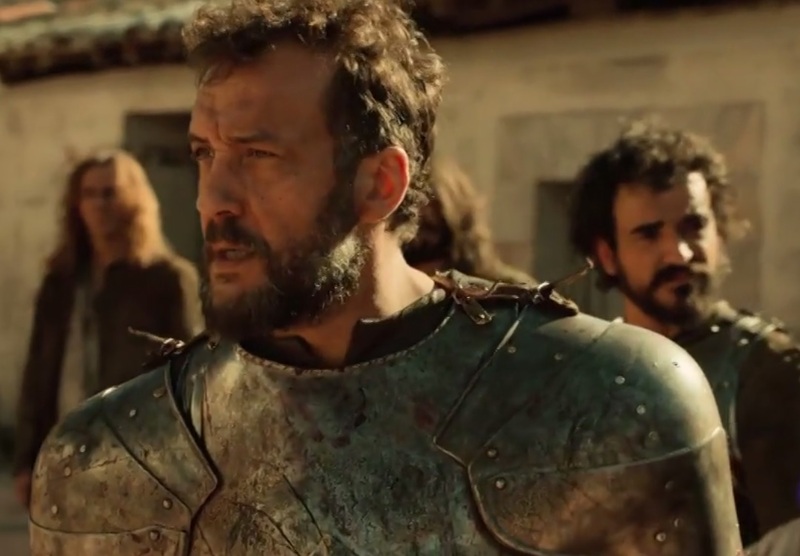 But anyway, it was very dramatic and heart-breaking to see, and Padilla getting his head chopped while a goodbye letter he wrote to his wife María was read in a voiceover turned out to be a beautiful way to end these characters’ storyline. And here’s the sixth edition of El Mundo de Carlos!